25 foot Wire foil garland to decorate mums and garters. 25 foot Wire foil music note garland to decorate mums and garters. 25 foot Wire foil open heart garland to decorate mums and garters. 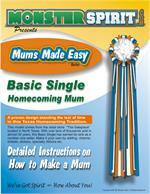 25 foot Wire foil star garland to decorate mums and garters.